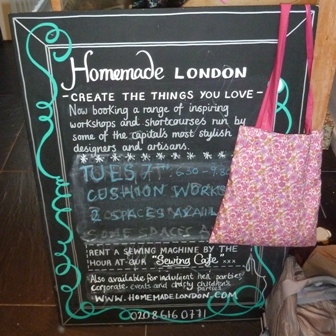 Well I’m just so excited to bring you this blog post from our first stop on our 2012 sewing tour to ‘Homemade London’! I am having the most wonderful time with Jacqueline visiting and meeting with lovely sewing teachers and people in the sewing industry. I’m also delighted to invite you along to follow us to the gorgeous places we are visiting. Below is our first tour post which includes a video sewing series of us at Homemade London with Nicola & Angela! Homemade London opened in August 2010 with a mission to celebrate the best of London’s craft designers and introduce new products and techniques to the capital. Nicola Barron, founder of Homemade London is a fashion and interior design junkie who moved to Paris at age of 18 to immerse herself in the fashion industry before pursuing a career as a TV producer. After 10 years at the BBC she left in 2009 to find a new challenge that would combine her skills and experience with her passion. The inspiration for Homemade London came from a desire to learn from the designers she loves. 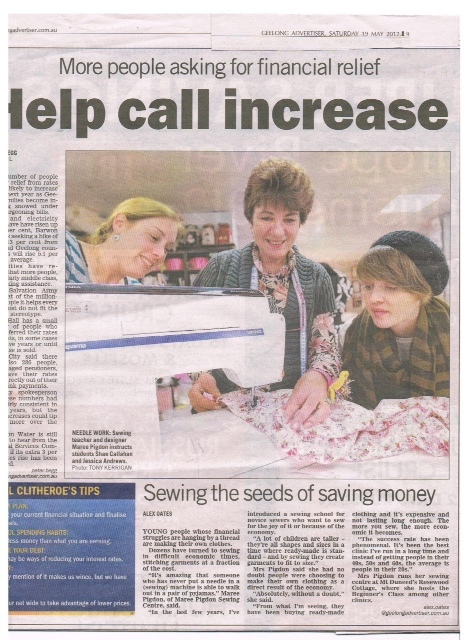 Nicola manages Homemade London and has a team of expert sewing teachers who teach sewing & crafts in classes, parties and workshops. Watch the video below where I interview Nicola in her sewing studio about her inspiration to create Homemade London! In the video below Nicola takes us for a quick tour of her sewing studio – check out the gorgeous sewing and craft projects, and a sneak peak of a special birthday workshop which was being held while we were there! 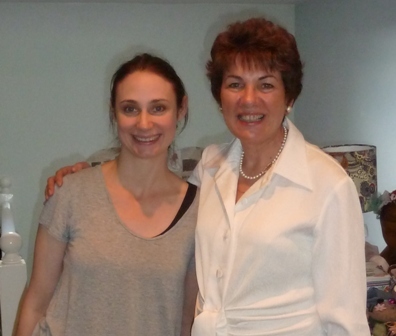 We also had the opportunity to meet with one of Nicola’s teachers – Angela. It was delightful to meet with her and hear about how she started sewing and who she teaches. Watch the video below to meet Angela! 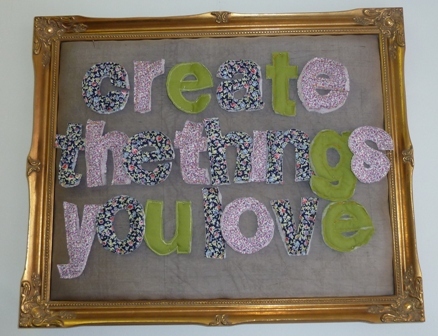 Create the things you love! 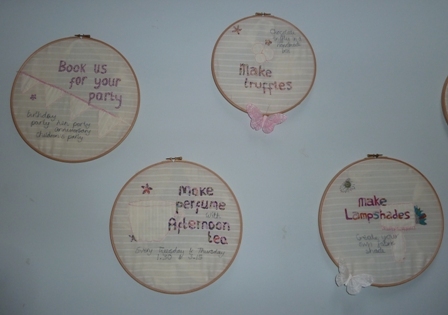 Homemade London specialise in parties so you can get together with your friends for a special creative sewing day! 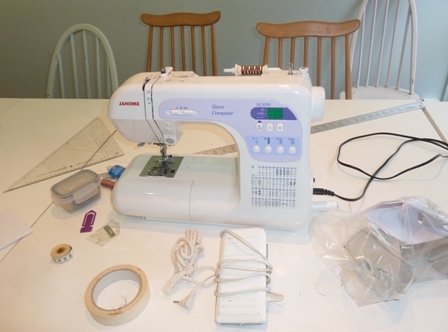 Nicola also has the exact same sewing machines for her students that I currently have at Rosewood Cottage – fancy that! 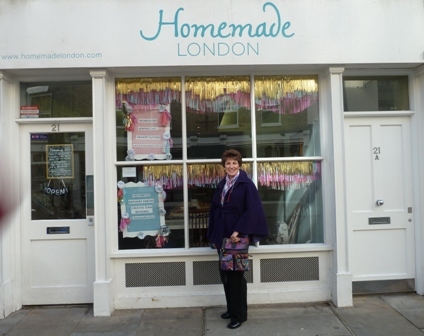 Thank you Nicola & Angela for a wonderful visit to Homemade London. We highly recommend visiting Homemade London next time you’re in London and to book a special sewing party with your friends! Please leave a comment below for us and the team at Homemade London, we would love to hear from you, how you liked this blog post, perhaps what you’re currently sewing or have now been inspired to create. Also if you’ve been to Homemade London too or if it’s now on your list of places to visit! Stay tuned for our next stop on our London 2012 Sewing Tour coming your way soon! Share this with your friends on social media – click below! Today is the day I reveal to you my new online pattern! In today’s video below I reveal to you exactly what my new pattern is and show you 3 samples from the pattern! As I outlined in my previous video I designed this pattern several years ago and it has been extremely popular in my sewing school and workshops. I’m very pleased to share with you all the features of this pattern in today’s video. So click on the link (above or below) to check it out before the launch this Friday. This new pattern goes on SALE online at the end of this week! To ensure you are notified of the special launch offer subscribe to my newsletter today! Watch on You Tube – CLICK HERE!